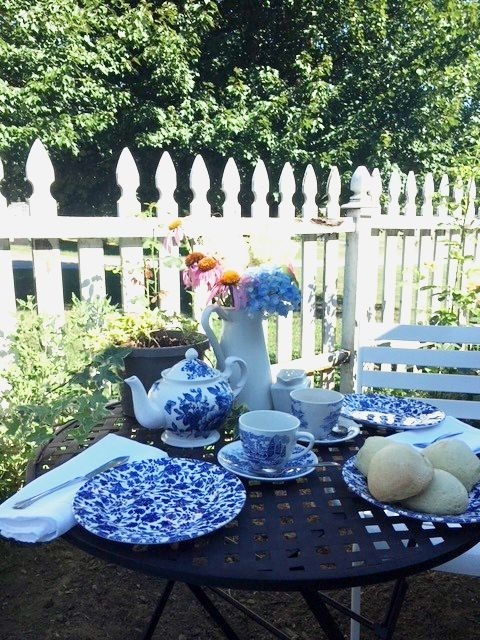 I have wanted a picket fence forever! As I said in my previous post, my husband and my girls painted and put up this fence while I was away at a retreat. I was so surprised and thrilled that they did this for me! Soon, I will be able to put a flower bed in front of the fence and to rearrange somethings in the beds that are already there. I am not a professional gardener by any means. I just know what I like and then I rush ahead to do it. I have a great friend who is a terrific gardener and I go over and drool over her gardens. She often has shared plants with me, when hers have gotten out of hand, and I in turn do that with others. Right now I have an abundance of Iris's. I will need to divide them up, and send them to new homes. This year I plan to add a new climbing rose, can't you just see it rambling over the fence? I can't wait! 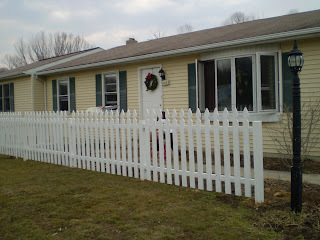 I can't imagine Creekside Cottage without its picket fence!